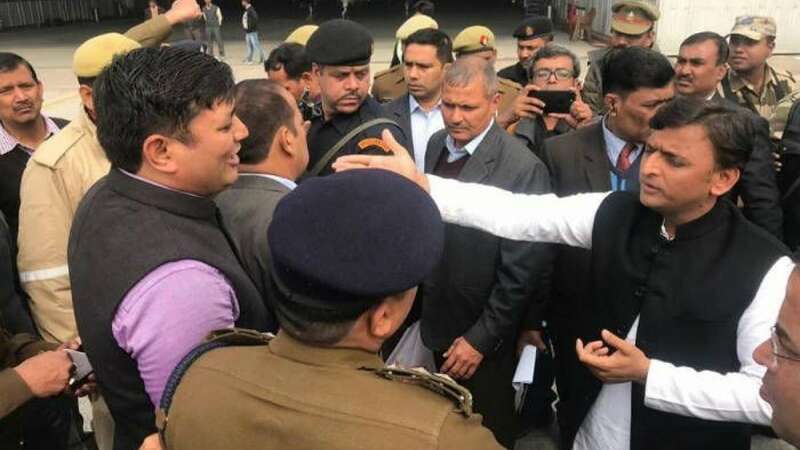 Lucknow : Samajwadi Party chief Akhilesh Yadav has been stopped from boarding a flight to Prayagraj at the Lucknow airport, said reports. The SP leaders have now staged a protest against the act by state government. Security at the airport has been beefed up after reports suggested that more MLAs are likely to join the protest. Akhilesh Yadav was scheduled to fly to Prayagraj to attend a student union function at the Allahabad University. Criticising the state government, he posted his disappointment on the Twitter.